soft, thick cotton fabric which is combed on both sides, similar to flannel. In the warp the yarn is commonly white or burlap; in the weft it is melange, giving a marble-like appearance. 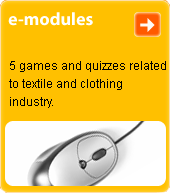 Used for shirts, blouses and sportswear. The term "fancy" is taken from the English.